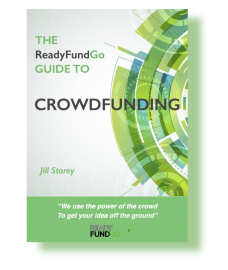 Crowdfunding is a great mechanism to get your projects and startup businesses off the ground. And it’s easy to see why more entrepreneurs are turning to crowdfunding: it’s more convenient to launch compared to traditional business financing options, it can capture a niche market, and developers can improve their product based on the feedback from their supporters. One of the proven approaches to crowdfunding is the rewards-based approach, where a project creator provides incentives to backers depending on how much money they pledge to the project. Rewards can be in the form of products, services and other types of involvement in the company project. It can be an effective way to gather support and momentum for any given project even without giving away equity in your business. Indeed, at the heart of any rewards-based campaign, are, of course, your rewards. While a small number of backers will support your business solely out of affinity to you and the project’s merit, a majority of your backers will decide based on what they will get from the campaign. It’s entirely up to you what type of rewards you will offer, but it can be daunting to determine what type of rewards will give your project significant traction! This can be particularly challenging if you are creating an app rather than a product. By far the most popular type of reward (and the easiest to arrange), this approach simply involves giving your backers advance access to your app. Your campaign reward can work like an exclusive access to your project. Try offering a pre-order for your app, or give special membership options to whoever will fund your project with a certain amount. This is a great way for mid- to high-level backers to anticipate your product release, and gain bragging rights as the first ones to experience the results of the project. 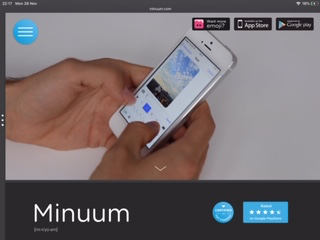 One example is what Minuum did. An Android keyboard that helps users save space on smartphone screens, this project offered a US$5 beta access reward, which helped the campaign raise over US$87,000 and garnered a sizeable user base prior to the product launch. Another tip for early access is to set reward quotas—backers who see that a reward is going to run out fast will be motivated to act. Something like a Super Early Bird rate, or a limited offer rate could help your project amass funding quicker. If you want to keep the interest in your project going, why not give a chance for some backers to gain creative access to the project itself? For instance, if you are developing a game app, you could give high-pledge tiers the licence to name a character, or design one to his or her liking. 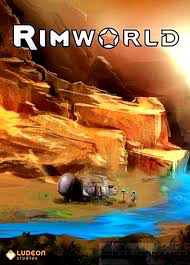 One example is what the developers of the game Rimworld who provided their backers. Aside from the perks that the lowest tier backers (from US$5) also received, like being included in the game’s credits, the highest had the chance to choose the name for the entire game world. This participatory approach to the game enabled the project to attract high-level backers, and the total funding raised reached almost US$270,000. Another strategy that developers can use to maximise campaign dollars is to offer add-ons and related rewards. The idea is to consider related upsells and complimentary products. Move away from the usual t-shirt giveaways, as they are so overdone and will do little for your campaign. Instead, give something that makes your main app even more desirable. Take for instance what the SHADOW team did. The company bundled the sleep-and-dream tracking app with e-books (or printed copies) about sleep, dreams and mindfulness. This tactic enabled them to engage backers and eventually earn over US$82,000. Because crowdfunding is open to everyone willing to pledge their money, it’s important to acknowledge all backers regardless of the amount of money they pledged to your project. And one way to do this is to give certain recognition for both low-level and high-level backers. A mention on the company website or credits, a personalised ‘thank you’ card or gift, or signed memorabilia can boost your backers’ enthusiasm for your project. And who knows, they might even refer friends and family to support you as well! If pre-orders don’t really fit your business model, you can go beyond giving backers access and creative licence to your project and move towards a more personal approach in your rewards system. Offer special services in exchange for support. From coding and digital art, to a simple invitation to your set or office, you could offer what will work for your supporters. And if you want that extra buzz, why not invite an influencer or a celebrity to help you engage with the backers? This will give backers that genuine experience with your team and help spark interest for the brand. 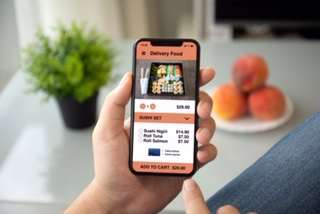 As with all types of crowdfunding campaigns whether for an app or a product, whether in Australia or globally it is vital that you put a significant effort into the pre-campaign planning and development phase. Whatever type of campaign you start you need to ensure you have your day-one pledges lined up to get your campaign off to a great start.